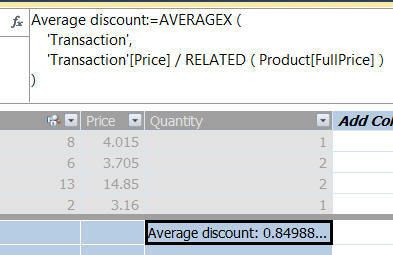 Writing a query to show total quantity sold by product in DAX Studio. 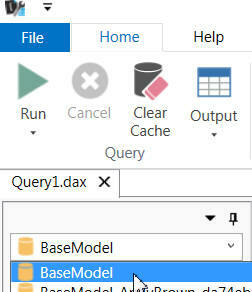 If you're wondering why the DAX doesn't look familiar, that's because this is a query and not a measure - but DAX Studio can be used to write both, as explained later in this blog. Click on this button to download the latest version. 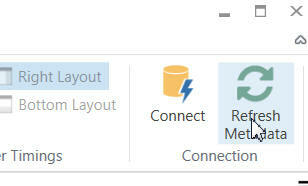 If you want to create measures (calculated fields) in PowerPivot within Excel, you should enable the Excel add-in too. 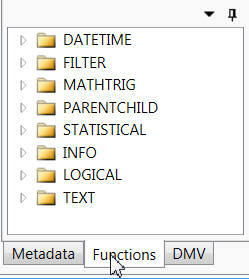 However, I've had problems getting the Excel add-in to run in Excel, and you won't need it for this blog. I've deployed my models - as readers of this blog will know - to a named instance of SQL Server called sql2012 on my laptop. Your machine will be different! Click on the drop arrow next to the pin to choose from which model you want to pull columns and tables. Hold down the mouse wheel and scroll to change the font size (here it's a bit big). You can drag function names into your DAX expressions. 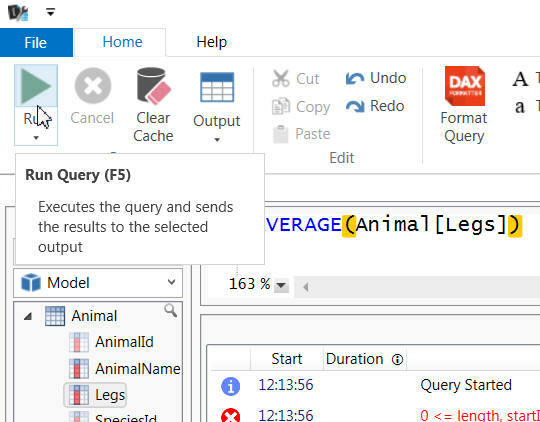 When you click on this button to run your "query", you'll just get an error. 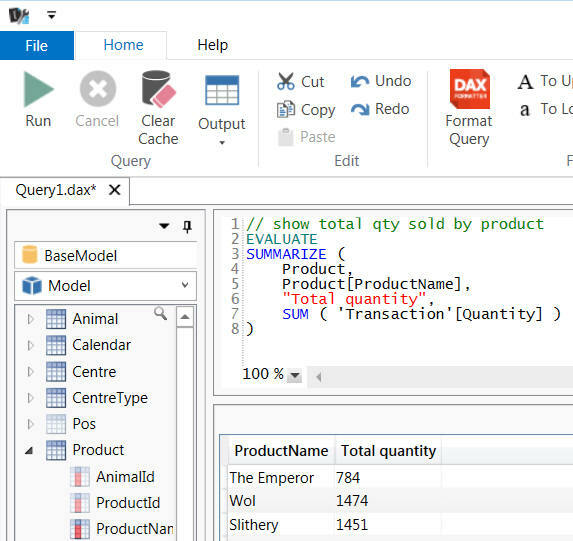 The easiest thing to do is therefore to write your measures in DAX Studio, but then copy and paste them into SSAS Tabular. 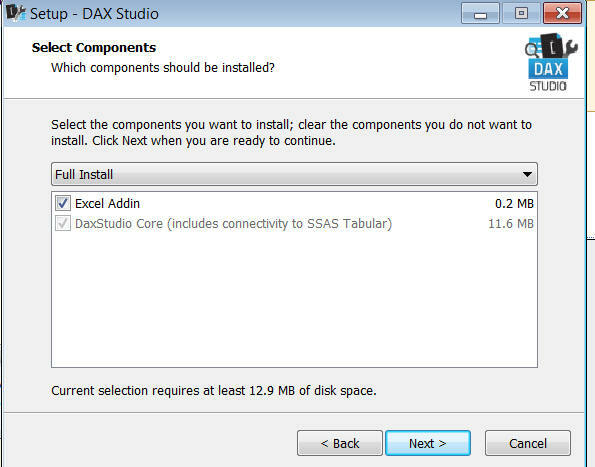 However, don't dismiss this as too cumbersome without first reading about some of the extra DAX Studio features below. Finding it hard to see what this measure does? Copy it to the clipboard. Paste in the measure, and click on the button shown to format it. The results are much easier to read! You can now copy this formula back into your measure. The result of all this to-ing and fro-ing? The measure is now easier to read! This handy button brings everything up to date. Click on the button shown to time how long queries take to run. 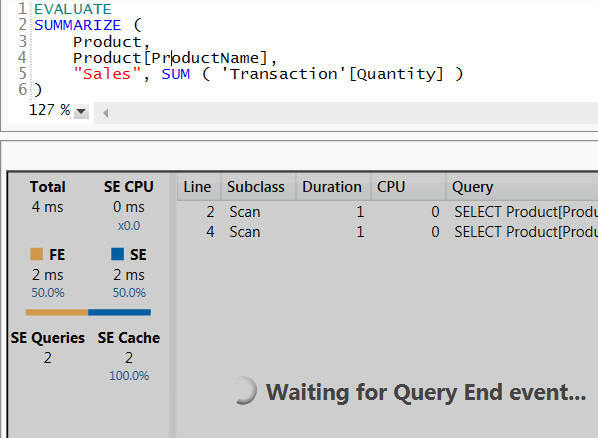 The message disappears when the query finishes, and timings appear. 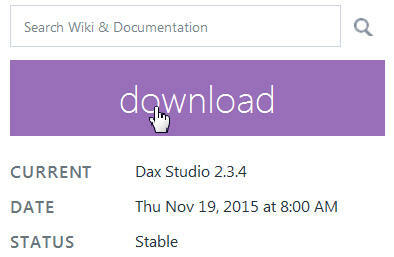 So that's DAX Studio - next, I'll show how to install and use DAX Editor.